It was just perfect for my counter. Not only is it functional but it is also quality and good looking. There are ample amounts of steak knives for a dinner party as well as knives for whatever you may need while cooking and preparing a fine meal in your kitchen. Complete your kitchen with this 22-piece cutlery set. 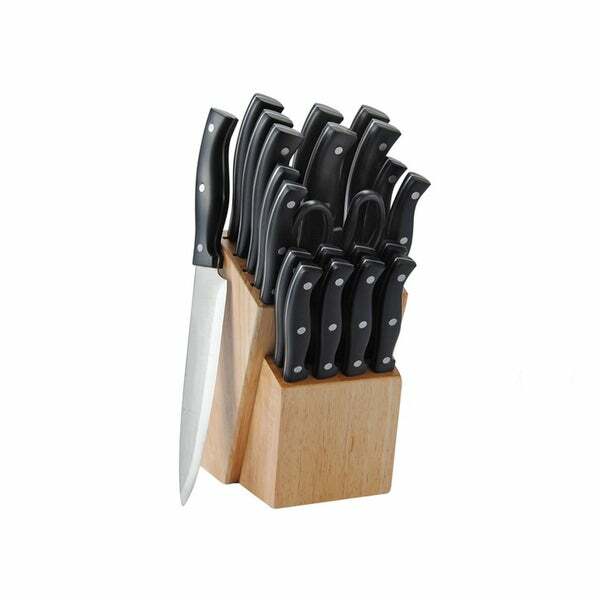 With a wide variety of knives for any purpose, this set can meet all of your culinary needs. The stainless steel blades are sharp and cut easily, while the triple-rivet handles fit comfortably in your hands.